Elite Spine & Sports Care is proud to announce the opening of our new location on Parker Avenue in Fort Lee, New Jersey. Patients in Fort Lee and the surrounding Bergen County area can expect the same high-quality level of care experienced at our original location. 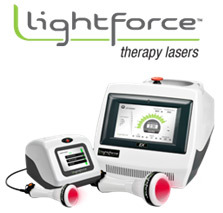 The Physical Therapists at Elite Spine and Sports Care of Fort Lee offer the LightForce Deep Tissue Laser Therapy device. Laser therapy is a drug-free, surgery-free, pain-free modality that relieves pain and discomfort associated with a wide range of injuries and ailments. This form of treatment is one of the quickest, least invasive and most effective pain management solutions available. Deep Tissue Laser Therapy is an innovative process using laser energy to promote cellular activity deep within the affected area. As the laser passes over the exterior of the skin, the Lightforce laser therapy machine sends low-frequency lasers into the body. These lasers, or photons, enter the soft tissue creating biological changes within the cells of tissues. The changes increase cellular metabolism which instantaneously relieves pain and promotes a faster healing process. Unlike other forms of pain management, Deep Tissue Laser Therapy is a quick, out-patient process that only takes about 10 minutes depending on the location of the affected area. As the physical therapist begins the treatment there is very little sensation. On some occasions, patients have said that they feel a slight warmth prior to feeling pain relief. Aside from the immediate pain relief, patients report feeling less pain over a longer period when using Deep Tissue Laser Therapy.